Living in California means living with incredible weather, which also sometimes means handling very sunny summers. Luckily, if you’re looking for Walnut Creek rentals with a pool, Main Street Terrace has the amenity you’re seeking to give yourself a break from the heat. 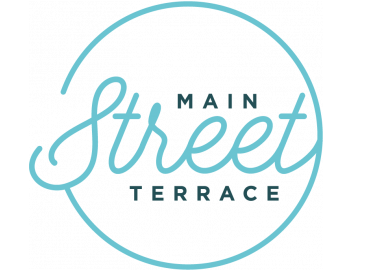 Located right in Walnut Creek, CA, Main Street Terrace offers tremendous bonuses that will make your home feel even more relaxing. Most important is the gorgeous pool within the community, which allows you to save tons of money on external pool memberships and save yourself the discomfort of never knowing who will be there. With the pool on-site, you can feel safe in the surroundings of your own community and relax with other residents. Main Street Terrace also allows you to bring guests, so start brainstorming your invitee list! Many may look at several Walnut Creek rentals with a pool, but Main Street Terrace apartments are unmatched. With one- and two-bedroom options available, you can easily find a floor plan that will match your needs so that when you’re done soaking up the rays by the pool, you can come home to unwind even more without ever getting into your car. Luxury and Main Street Terrace truly do go hand-in-hand. Main Street Terrace also offers many other convenient amenities. With the ability to pay your rent online, you can alleviate time spent and concern about your payment arriving on time. If you have a furry friend in your family, rest assured that Main Street Terrace will welcome your four-legged pal into the community. Plus, with on-site laundry available, you can save time and money on this regular chore—and bonus, this also gives you the organic chance to interact with your neighbors. If you’re ready to make Main Street Terrace your next home, give the team a call to set up an appointment so you can check out our Walnut Creek rentals with a pool and envision your summer days lounging and relaxing. With California sun all around us, there’s no better place to spend your long days poolside.